Mariah Carey Mobbed por fãs at Hotel in London! Which song do you like the best on Memoirs of An Imperfect Angel? who do you think deserves the título BIGGEST SELLING FEMALE ARTIST OF ALL TIME..? 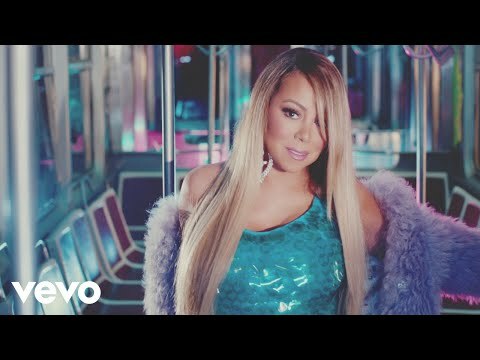 What is two of your favourite songs por Mariah Carey? Mariah Carey and her husband Nick canhão have finally revealed the names of their twins who were born in Los Angeles on Saturday. The topo, início tier of Mariah’s New York City apartment is called the Moroccan Room, because of the Moroccan-inspired decor. It’s also the place where Nick proposed to his wife, overlooking Manhattan! Mariah Carey has posed for her fair share of portraits, but none has been as personal or emotional as these exclusive belly-baring snaps. Mere days away from welcoming her first and segundo child, Mariah proudly showed off her pregnant body to Life & Style. There has been speculation for months about who Simon Cowell will have on the judging panel for "X Factor" — some even pointing to Mariah Carey as a possibility. ESSENCE.com has received confirmation from a credible fonte that Carey will not be a judge on the show, despite the rumors circulating. Cowell did approach the award-winning singer/songwriter with the request but she politely declined the offer, as she is busy preparing for the arrival of her twins with husband Nick canhão and composição literária música for a new album. As Nick lovingly documented every mover his glowing wife Mariah Carey made on a handheld camera on March 6, it was clear he'll always be Mariah's baby. But he's about to get some welcome competition: The A-list couple had gathered an intimate group at LA's luxe Montage Beverly Hills hotel to celebrate the arrival of their twins, due in late April or early May. Mariah Carey says now that she regrets ever having performed at a party thrown por the sons of Moammar Gadhafi. a question foi adicionado: Mariah Carey loved Aaliyah?